2017's Power Rangers didn't do well enough to set up the massive film franchise like Saban had hoped. It wasn't a bad movie, but it also didn't make very much money. The most substantial thing to come out of it was probably Power Rangers: Legacy Wars, the mobile fighting game. That has more than 10 million downloads and starting tomorrow, it's getting a major crossover with some of the stars of the Street Fighter franchise. This is one Capcom crossover I didn't see coming. Beginning May 16, players will be able to get Ryu, Chun-Li, and Guile, with Akuma being added on May 19 and Cammy and M. Bison hitting the game at a later date. Each character will cost $4.99 each or players can collect their character shards through loot boxes. 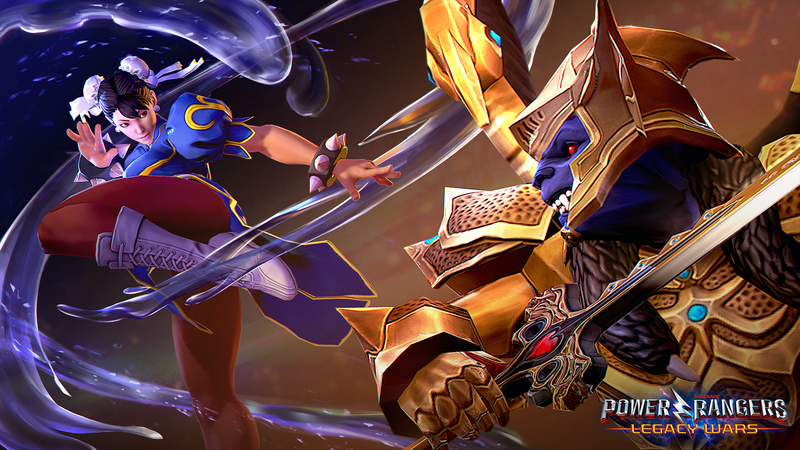 The characters will use their actual models and animations from Street Fighter V.
I didn't stick with Legacy Wars for too long as I'm clearly not the Power Rangers fan I thought I was, but I love a good piece of fanservice that brings together two properties I loved as a child. After watching that trailer, I wouldn't mind seeing classic Red Ranger Jason or Pink Ranger Kimberly make their way to SFV: Arcade Edition as DLC. I mean, if Injustice 2 can get the Teenage Mutant Ninja Turtles, why not?